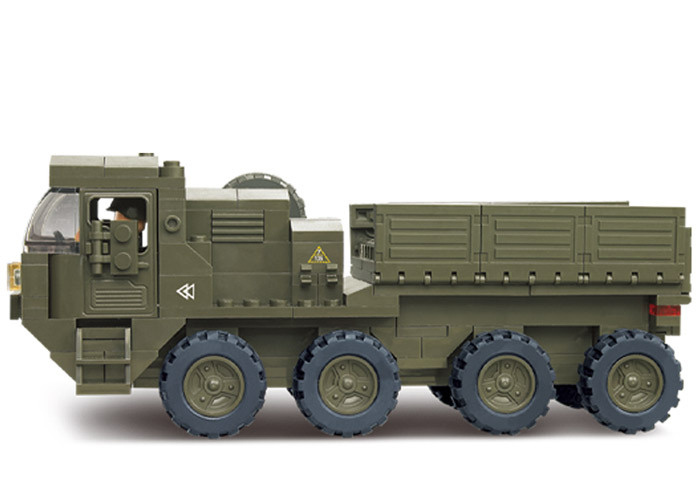 Sluban India introduces an mind boggling range of building block toys. Army based theme instills the courage and makes the child brave. Children learn to be proactive and use their adventurous nature constructively. These games build the sociable skills in children and strengthen their eye-hand coordination. Sluban building blocks game is completely compatible with All Major Educational Block Toys blocks brand. 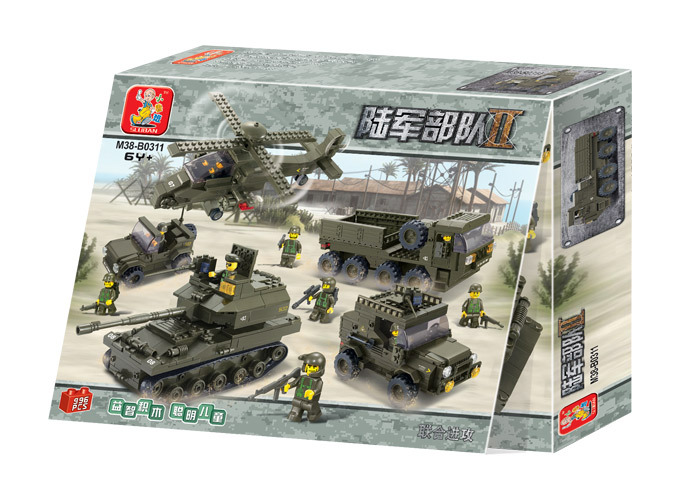 This set of assorted Educational Block Toy tanks encourages the child to plan and jointly attack enemy with planning. 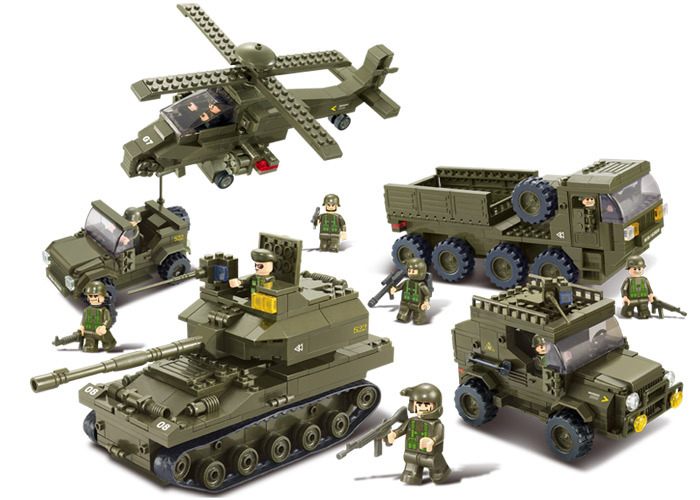 Sluban Educational Block Toys Tank Military M38-B0311 contains 996 number of building blocks. It is available in dark green color. 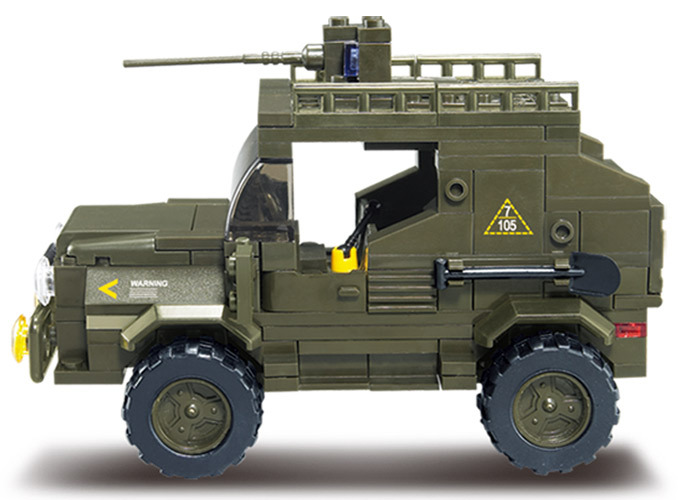 This Educational Block Toys is a part of Army Theme presented to you by India's leading building bricks toy brand.